Will we soon be forced to eat jellyfish? 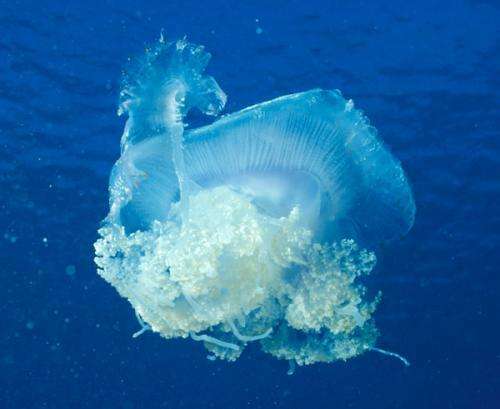 Since the beginning of the 2000s, these gelatinous creatures have invaded many of the world's seas, like the Japan Sea, the Black Sea, the Mediterranean Sea, etc. Is it a cyclic phenomenon, caused by changes in marine currents or even global warming? Until now, the causes remained unknown. A new study conducted by IRD researchers and its partners, published in Bulletin of Marine Science, exposes overfishing as the main factor. Jellyfish predators, such as tuna and sea turtles, are disappearing due to overfishing. 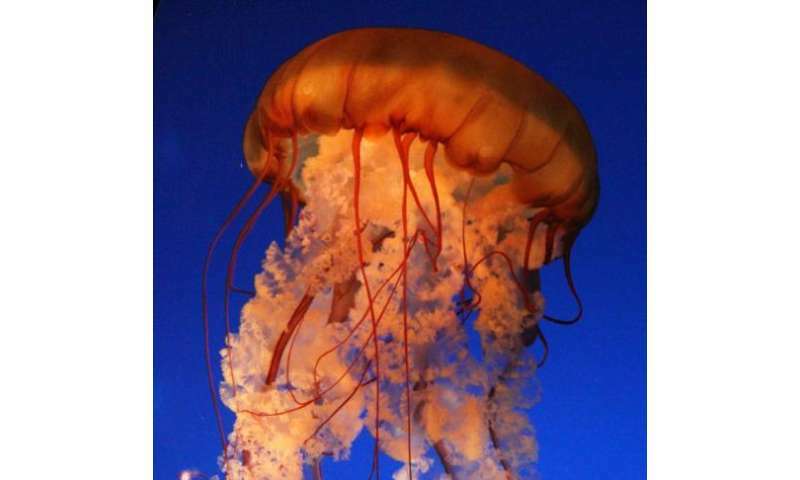 However, jellyfish are primarily taking advantage of the overfishing of small pelagic fish. Just like these cnidarians , sardines, herring, anchovies and more feed off zooplankton. Thus, they represent their main competition for food. In areas where too many of these fish are caught, they free up an ecological niche . Jellyfish now have free rein and can thrive. Furthermore, small fish eat the eggs and larvae of jellyfish. Therefore, under normal conditions, they regulate the population. In their absence, there is nothing to stop the proliferation of these gelatinous creatures. 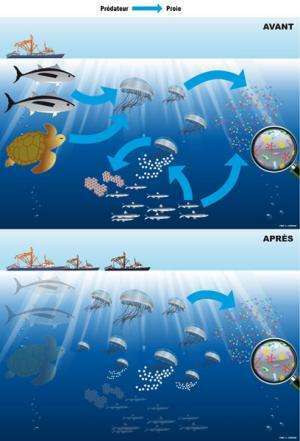 Credit: IRD / L. Corsini Jellyfish food chain. In order to demonstrate the major role played by overfishing, researchers compared two ecosystems belonging to the same ocean current, the Benguela, which flows along the south of Africa. The first ecosystem is located off the coast of Namibia. Here, fish stock management measures are not very restrictive. The stocks are barely restored before fishing activities start up again. Jellyfish are currently colonising these coastal waters. The second ecosystem is located 1,000 km further south, off the coast of South Africa. Here, the opposite is true: fishing has been tightly controlled for 60 years. The jellyfish population has not increased. A vicious circle is developing in affected areas. Under the water, the links in the food chain are much more flexible than on the earth: prey species can feed off their predators. As such, jellyfish devour larval fish. Their proliferation prevents the renewal of fishery resources. This invasive species in turn threatens fisheries. In Namibia, some 10 million tonnes of sardines in the 1960s made way for 12 million tonnes of jellyfish. Jellyfish are the pet peeve of tourists. The sting of their poisonous filaments – although seldom deadly – is very urticant. Therefore, they put economic activities in many regions across the world at risk. This is particularly true in countries which depend on these resources, such as several developing countries. This research work underlines the necessity of an ecosystemic approach towards the exploitation of the sea. In other words, the implementation of management measures which take into account all levels of the trophic network. According to scientists, this is the only way to prevent jellyfish from landing on our plates in the near future. Philippe, C. and Daniel, P. Mange tes méduses ! Réconcilier les cycles de la vie et la flèche du temps. Paris: Odile Jacob, 2013, 224p. I hear they're delicious, with some fava beans and a nice chianti.